A Great Beach Wedding Favor!! 2 Services - 1 Affordable Evening! Thank you for contacting me. I would love to become a part of your special day. If I am hired to provide both services for your entire event it is considered my “All Inclusive Package”. You will be able to utilize both services in any order you see fit to accommodate your musical planning needs. 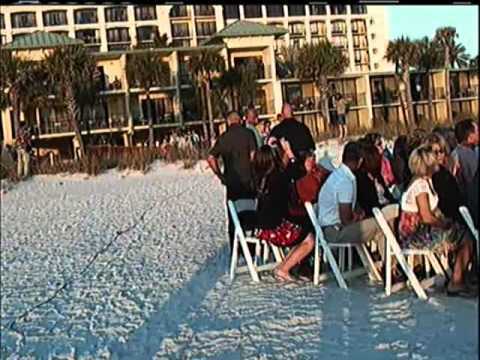 Steel Drum, DJ, MC, Dance floor Lighting, Beach Wedding, Cocktails, Conventions, Parties, Hotels and more. Mello has our highest recommendation! If you are having a wedding, or any fun event for that matter, and having an unforgettable reception is a high priority for you, Mello is your guy! I knew that I wanted to have my wedding ceremony on the beach with tropical steel drum music and I knew I wanted to have the reception of a lifetime afterwards, filled with my favorite party music, night-life vibes, and a host who would bring the wild side out of my guests – and that’s exactly what I got with Mello! I hired him for 5 hours as a steel drummer and DJ, and it was my choice of how I wanted to split his time for services. I requested steel drumming for my ceremony processional and recessional pieces, followed by his steel drumming with vocals for the cocktail hour and through dinner service; he played absolutely beautifully (this guy’s singing voice is gorgeous by the way). Then he got the party started by introducing me, my husband, and our wedding party into the reception and DJ-ed the rest of the night with all our favorite songs. I was completely thrilled – yet not surprised – that my dance floor was packed at all time with guests. From the very beginning and at every turn of the evening, guests were approaching me and telling me how impressed they were with Mello throughout the ceremony and reception. I was so grateful that Mello was not just my musical performer for the evening, but that he was my volunteered time-keeper and host. He ensured that we had at least 2 phone calls together so that he could review every single detail of the wedding in the few weeks before – this was so critical and we both we extra prepared because of it. During the wedding, he was face of the party and he came to me and my husband about 5-10 minutes prior to each scheduled event to check-in and remind us – as we had discussed (father of the bride toasts, parent dances, best man/maid of honor speeches, cake-cutting, garter/bouquet tosses, etc). This made my life so easy! Plus when a couple things went wrong (like dinner service being delayed), Mello instantly calmed my nerves and assured me that it was all good and we would work around it! This professional knows how to play steel drums, how to sing, how to DJ, how to host a party, how weddings work, how to be flexible, and how to talk to a bride and groom on their big day! I cannot express enough how great my wedding was as a contribution of Mello, he has my highest recommendation! Thank you for everything Mello! Thank You so much Sofia!! You guys were so very easy to work with and your guests was so much fun!! Thank you for making me a part of such a special day!! I wish you both all the best!! All I can say is book book book! Man, this guy is amazing, humble, accommodating! But most of all an awesome DJ! My waist hurts I danced so much! I will remember this night forever!! Mello truly made my parents 50th Anniversary Party special. We got compliments all night on the music. Was very easy to work with. His performance was awesome, hit it on the head!!!!! On a scale of 1-5, with 5 being the highest...I would give them 100!!! They were absolutely amazing and were so well liked that we had them stay for another 45 minutes! Every person at the dinner raved about them and praised me for hiring Mello Vibes for our event. 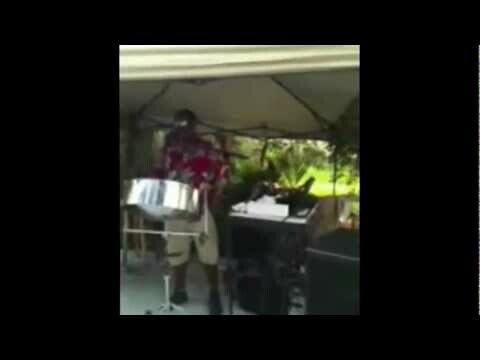 When I first started looking for a steel band, I clicked on Mello Vibes and once I heard them, that was it. I wanted no-one else. I purhased their cd and I listen to it constantly. I would be happy to have anyone contact me with any questions or for a fabulous referral. From contacting me in the beginning to saying goodbye at th end of the evening, Mello Vibes was unbelievable. Thank you so much!!!! 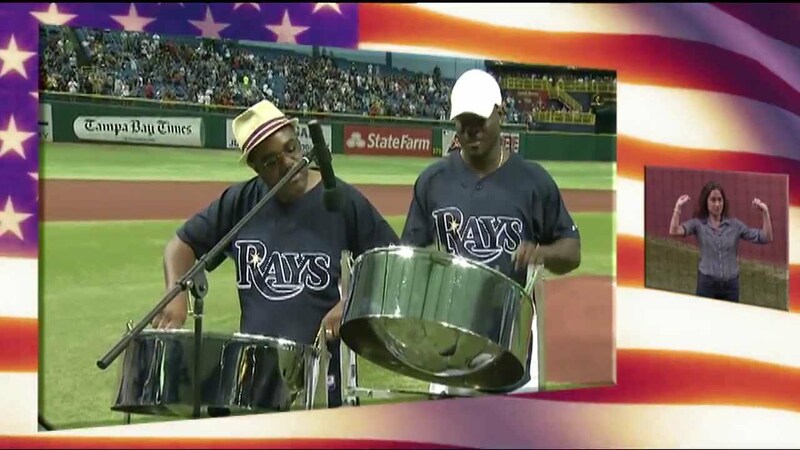 Envisage your personal event with rhythmic, captivating sounds of Mello Vibes' steel drum and Caribbean vocals. Whether at a formal setting or on the beach, Mello Vibes' melodic music is guaranteed to delight and sooth you. 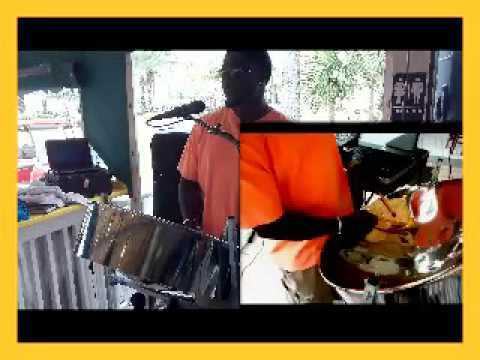 Mello Vibes is largely known for playing the steel drum, a musical instrument which originates from Trinidad and Tobago and is appreciated for its pleasurable and unique sound. He is also a musician, disc jockey, and master of ceremony. With his combination of talents, Mello provides instrumental and lyrical entertainment for corporate or leisure events to include, but not limited to, weddings, dinners, and parties. His DJ database consists of over 30,000 popular songs and a wide selection of genres, such as pop, rhythm and blues, alternative, jazz, country, reggae, and salsa. Upon request and with the music of your choice, Mello will create a playlist to suit the theme of your event. 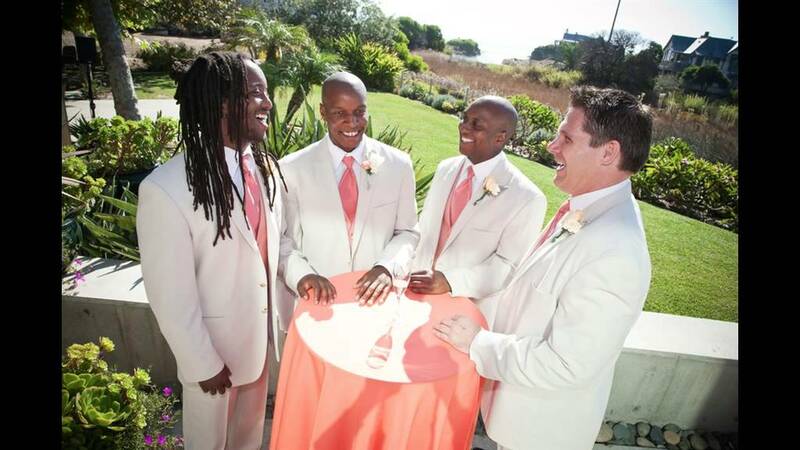 Mello Vibes performed for my wedding reception on November 1, 2008 and we could not have been happier! We were debating between two different performers and we are SOO glad we chose Mello! He was so much fun and our guests really enjoyed him! Everything ran smoothly and he did an awesome job! I would highly recommend him! Thanks again for a job well done!